So this year I decided we are going to grow peanuts in the demo garden. I have only grown them once before, and that time I started them directly in the ground, and I think we got a few that matured. So I thought to steal a march and start them indoors. Unfortunately that is my only success, so now that the soil is beginning to warm up we will try direct sowing this coming week. Peanuts are a fascinating plant, and I hope to at least get flowers and the subsequent “pegs” that bury themselves in the ground to produce the nuts, and maybe we will be lucky and actually get a (small) crop. More to follow if it works! I've always wondered about peanuts. 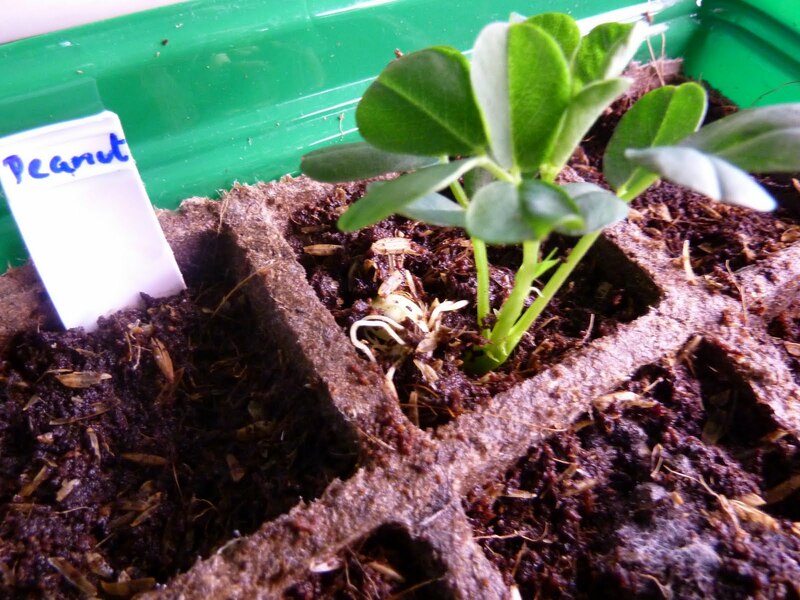 Do you just plant a whole peanut (as you do with potatoes)? Or do you just plant the peanut itself? The seed peanut is the nut as you'd eat it (except without roasting and salt!). 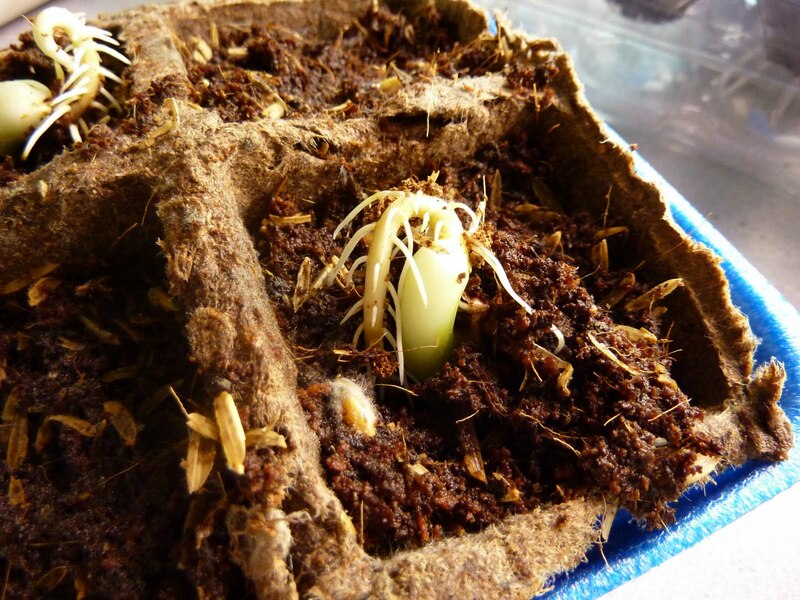 Probably you could plant the whole peanut and the shell would break down, but it would take longer and you might get two seedlings and have to thin. Fun! What a great one for a demo garden. My dad planted peanuts once and got a small crop. Your seedling looks great. I didn't know the foliage was so cute. I look forward to the progress! I will keep you posted, Wendy! The foliage is cute, isn't it? Don't count those first seedlings out. A lot of times plants correct themselves if given the opportunity. In nature, you don't always get planted at the right depth either! Fern, as you can see from later entries, I did get plants out of those peanuts after all! I am starting peanuts today in the greenhouse. Our students will plant them and them transplant to garden May 1 week. It will be interesting grow them as this will be a first for them in our school garden. We are also going to make peanut butter with the kids today. Micro and blend with oil, sugar and salt. FUN! Today is March 5th and we planted peanuts here in our school greenhouse. We also made peanut butter! Great activity. Students also planted potato eyes. I used this a chance to teach the difference between asexual propagation (potato) and sexual propagation (peanuts).